The Daltile Brancacci 6 in. x 6 in. Aria Ivory Ceramic Surface Bullnose Corner Wall Tile features a smooth, glazed finish with a moderate variation tone to help add a finished look to your walls or countertops. 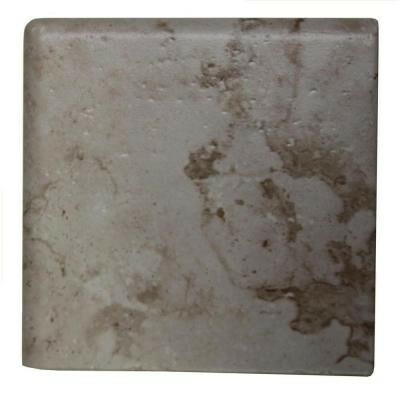 The non-vitreous tile is designed for residential, indoor use and is 6 in. long x 6 in. wide to suit your needs. You can buy this product in our internet market. We will be glad if you make the right choice.